NATIONAL BOOK AWARD FINALIST SHORT-LISTED FOR THE MAN BOOKER PRIZE Brace yourself for the most astonishing, challenging, upsetting, and profoundly moving book in many a season. An epic about love and friendship in the twenty-first century that goes into some of the darkest places fiction has ever traveled and yet somehow improbably breaks through into the light. Truly an amazement--and a great gift for its readers. When four classmates from a small Massachusetts college move to New York to make their way, they're broke, adrift, and buoyed only by their friendship and ambition. There is kind, handsome Willem, an aspiring actor; JB, a quick-witted, sometimes cruel Brooklyn-born painter seeking entry to the art world; Malcolm, a frustrated architect at a prominent firm; and withdrawn, brilliant, enigmatic Jude, who serves as their center of gravity. Over the decades, their relationships deepen and darken, tinged by addiction, success, and pride. Yet their greatest challenge, each comes to realize, is Jude himself, by midlife a terrifyingly talented litigator yet an increasingly broken man, his mind and body scarred by an unspeakable childhood, and haunted by what he fears is a degree of trauma that he'll not only be unable to overcome--but that will define his life forever. In rich and resplendent prose, Yanagihara has fashioned a tragic and transcendent hymn to brotherly love, a masterful depiction of heartbreak, and a dark examination of the tyranny of memory and the limits of human endurance. Praise for A Little Life NATIONAL BOOK AWARD FINALIST SHORT-LISTED FOR THE MAN BOOKER PRIZE FINALIST FOR THE 2015 KIRKUS PRIZE FOR FICTION "Yanagihara's immense new book, A Little Life, announces her, as decisively as a second work can, as a major American novelist. Here is an epic study of trauma and friendship written with such intelligence and depth of perception that it will be one of the benchmarks against which all other novels that broach those subjects (and they are legion) will be measured." --Sam Sacks, The Wall Street Journal "With her sensitivity to everything from the emotional nuance to the play of light inside a subway car, Yanagihara is superb at capturing the radiant moments of beauty, warmth and kindness that help redeem the bad stuff. In A Little Life, it's life's evanescent blessings that maybe, but only maybe, can save you." --John Powers, NPR ..".A Little Life becomes a surprisingly subversive novel--one that uses the middle-class trappings of naturalistic fiction to deliver an unsettling meditation on sexual abuse, suffering, and the difficulties of recovery. And having upset our expectations once, Yanagihara does it again, by refusing us the consolations we have come to expect from stories that take such a dark turn.... Yanagihara's novel can also drive you mad, consume you, and take over your life. Like the axiom of equality, A Little Life feels elemental, irreducible--and, dark and disturbing though it is, there is beauty in it." --Jon Michaud, The New Yorker "This exquisite, unsettling novel follows four male friends from their meeting as students at a prestigious Northeastern college through young adulthood and into middle age.... The book shifts from a generational portrait to something darker and more tender: an examination of the depths of human cruelty, counterbalanced by the restorative powers of friendship." --The New Yorker (Briefly Noted) "Hanya Yanagihara's second novel asks for a kind of immersion at odds with the practices of contemporary attention-deficit culture. A Litle Life is epic in scope, riveting on every page, and frequently stomach-churning in its explorations of pain and loss... [It] brought me to tears more than once; it is a book that asks the reader to feel as fully as Jude does, with a deep aesthetic and ethical purpose of observing and witnessing the pain of others." --Jenny Davidson, Bookforum "Spring's must-read novel... If [Yanagihara's] assured 2013 debut, The People in the Trees, a dark allegory of Western hubris, put her on the literary map, her massive new novel...signals the arrival of a major new voice in fiction." --Megan O'Grady, Vogue "Astonishing... It's not hyperbole to call this novel a masterwork--if anything that word is simply just too little for it." --Caroline Leavitt, San Francisco Chronicle "[The] book has so much richness in it--great big passages of beautiful prose, unforgettable characters, and shrewd insights into art and ambition and friendship and forgiveness." --Leah Greenblatt, Entertainment Weekly "Through insightful detail and her decade-by-decade examination of these people's lives, Yanagihara has drawn a deeply realized character study that inspires as much as devastates. It's a life, just like everyone else's, but in Yanagihara's hands, it's also tender and large, affecting and transcendent; not a little life at all." --Nicole Lee, The Washington Post "There are truths here that are almost too much to bear--that hope is a qualified thing, that even love, no matter how pure and freely given, is not always enough. This book made me realize how merciful most fiction really is, even at its darkest, and it's a testament to Yanagihara's ability that she can take such ugly material and make it beautiful. It's a testament to Yanagihara's ability that she can take such ugly material and make it beautiful." --Steph Cha, Los Angeles Times "A Little Life floats all sorts of troubling questions about the responsibility of the individual to those nearest and dearest and the sometime futility of playing brother's keeper. Those questions, accompanied by Yanagihara's exquisitely imagined characters, will shadow your dreamscapes." --Jan Stuart, The Boston Globe "[A] monument of empathy, and that alone makes this novel wondrous." 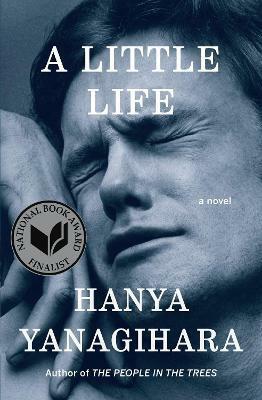 --Claire Fallon, The Huffington Post "A Little Life is a harrowing novel with no happy ending, yet Yanagihara writes so well that it's difficult to put it down, even in the midst of sobbing. Somehow, it's an ordeal to read and a transformative experience, not soon forgotten." --Anna Andersen, Minneapolis Star-Tribune "Yanagihara's most impressive trick is the way she glides from scenes filled with those terrifying hyenas to moments of epiphany. 'Wasn't it a miracle to have survived the unsurvivable? Wasn't friendship its own miracle, the finding of another person who made the entire lonely world seem somehow less lonely? Wasn't this house, this beauty, this comfort, this life a miracle?' A Little Life devotes itself to answering those questions, and is, in its own dark way, a miracle." --Marion Winik, Newsday "[A] stunning work of fiction." --Sherryl Connelly, The New York Daily News "Yanagihara's novel is a remarkable feat." --Ilana Masad, Bustle.com "A modern-day epic... This book will make you feel." --Isaac Fitzgerald, Buzzfeed "The phrase 'tour de force' could have been invented for this audacious novel." --Kirkus Reviews, starred review "This is a novel that values the everyday over the extraordinary, the push and pull of human relationships--and the book's effect is cumulative. There is real pleasure in following characters over such a long period, as they react to setbacks and successes, and, in some cases, change. By the time the characters reach their 50s and the story arrives at its moving conclusion, readers will be attached and find them very hard to forget." Hanya Yanagihara is the author of"The People in the Trees. "She lives in New York City."